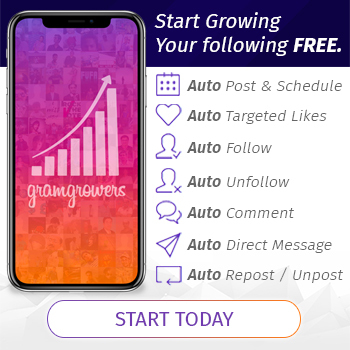 Growing up with big dreams, the Lithuania born Simona Milinytė, known as Simonna, has been making each come true with hard work and dedication. Recording her first album at 12 years old, she has been building a name for herself internationally in both music and as an actress since. Taking her career to the next level, the rising star has called the USA home for the last few years and has a lot of big projects coming up that she just can’t wait to share with the world. Ambitious, charismatic, and passionate, Simonna is on her way to being a name everyone will know. Recently, she sat down to chat about her career in entertainment, the importance of being persistent, her upcoming movie The Blackstone, plus more. 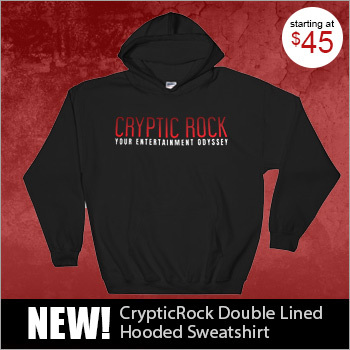 Cryptic Rock – You have been involved in music and film professionally since a very young age. First, briefly tell us, what inspired you to pursue a career as a singer and actress? As far as inspirations, there are so many artists. Demi Lovato, Beyoncé, Jennifer Lopez, and Britney of course. Justin Timberlake, Ed Sheeran and other amazing artists. Also, John Legend and Rita Ora, who I recently defended in the media after the Thanksgiving Day parade. I also love classic music too, from artists like Frank Sinatra, Aretha Franklin, and of course the iconic Gladys Knight. Cryptic Rock – Wow, it sounds like your love for music runs very deep. You are originally from Lithuania, but now call Los Angeles home. That said, what led to your decision to move to America. Furthermore, has the transition been difficult, and how would you compare the cultures? Simonna – I’ve been traveling my entire life and singing since I was 3 years old. My first album came out when I was 12 (it had 12 songs on it, and I was born 12.12, too). I also went on my first national tour at that age. I’ve always wanted to be in the U.S. – Los Angeles in particular. I think I got the idea from Disney’s Sony With a Chance with Demi Lovato. When I was younger, it was my favorite show and I think it affected my decision to move here. I’d always wanted something more. This is the place to find that – endless opportunities here in the U.S. I love everything here, especially that people here are very positive. I always felt like this is where I belonged. Cryptic Rock – It’s great to hear how positive your experience has been in America. Beyond your career in entertainment, it seems you take your education also very seriously. Was it a difficult decision to shift your focus from your career in music/film to education a few years back? Simonna – Not difficult at all. School has always been very important to me. I have a Victim Advocacy certification degree and a Bachelor of Arts of Communication degree. I graduated with a bachelor’s degree in May! I love learning. I never stop learning, even right now while I’m working with professionals in the movies I’m working on. I still go to acting classes. I read books, watch Documentaries, do many exercises and rehearsals. I want to be as professional as possible, and the key to that is to never stop learning. I also went to the New York Film Academy. I now also have an amazing mentor. She is just brilliant – so intelligent, with so much experience in the entertainment industry. She’s teaching me everything, giving me advice, inspiring me every day. Cryptic Rock – It is true, you never stop learning, and you can always learn from others too. 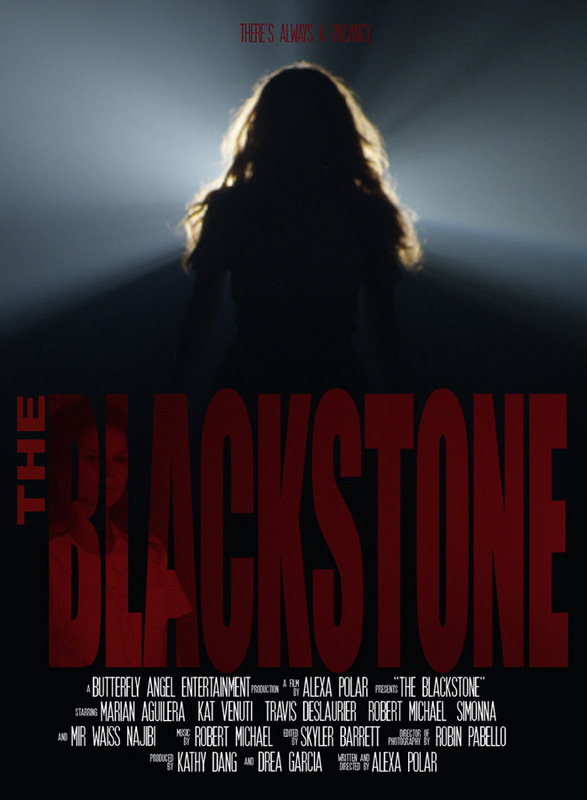 Speaking of working in film, you have a few new projects coming up, including a Horror film entitled The Blackstone. How did this part come about for you and what can you tell us about the film? Simonna – This movie is unique, exciting and scary. I feel like I’m playing the coolest character – a ghostly woman. I always wanted to play something interesting and different. When I landed this role, it felt like my dream had just come true. Being a ghost is so much fun – such a creepy look with the makeup and wardrobe. I can’t wait for you all to see it! I get to do crazy things that I never thought I’d do. I had another role a few months ago where I was covered in dirt and locked in a cage. So much fun! The Blackstone is such an interesting Horror Thriller. When I started to read the script, I was so surprised. I thought I’d seen everything, because I watch so many movies and I’ve seen a lot of Horror movies. This one really got my attention. I haven’t seen the full movie myself yet, but just from reading the script and working on set, I can already say that Horror lovers who like Psychological Thrillers will like it. 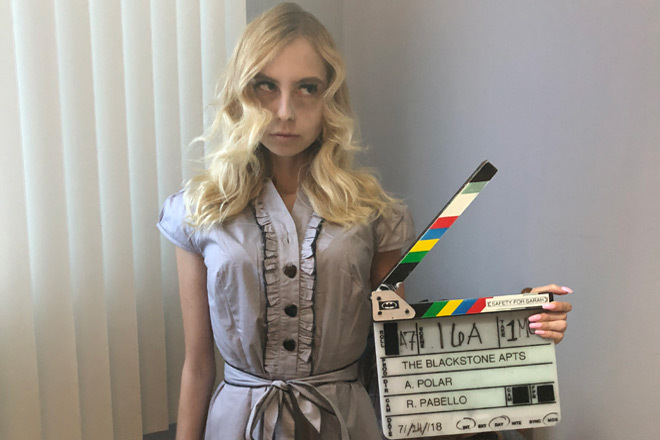 Simonna on set of The Blackstone. Cryptic Rock – Very cool! This being one of your first Horror films, do you enjoy the genre and could you foresee working it again? Simonna – Yes, I love the genre and really hope I will get to do more of them. Horrors are so exciting. My favorite part about acting is diversity. Going to work and becoming someone else makes my life so colorful. So you can see how becoming someone else can be especially true in that genre. Cryptic Rock – Diversity is very important, and hopefully we will see you in many more roles in the future. You are still quite young and already earned a good deal of experience in entertainment. What would you say are some of the most important things you have learned? Simonna – Never ever give up! I’ve fallen down a million times trying to climb the mountain of my dreams. I get hundreds of haters, many people saying horrible things. I understand I cannot please everyone. Some people like Jazz, some people like Metal music. If I release a Pop music single, not everyone is going to like it. We all have haters, whether they’re neighbors or people you know from work. When you’re in the public eye, more people see you, which means you have more of them. I give my everything to my career. There are no miracles, just very hard work. I don’t go to clubs, I don’t go to parties very often. I spend 100% of my time working. Dedication is everything. I’ve found there is no such a thing as being randomly discovered, being heard and seen by an accident, getting movie roles, show bookings, soundtrack offers by some sort of miracle. It requires hundreds of emails, communication, rehearsals, auditions, working 20-hour days – not giving up if some project fails, never stopping no matter what. I follow my dream and give all I have to make it come true. Success isn’t luck. It’s hustle, determination, dedication, and grind. Cryptic Rock – That is a good attitude and the hard work is paying off. You offered some of your musical influences earlier, but tell us, what are some of your influences as an actress? Simonna – That’s tough because I feel like anyone or anything you’re exposed to can be an influence for both acting and singing. I can tell you who I love in those fields. I love Johnny Depp and all of his incredible characters. Jamie Foxx and Peter Dinklage. Sandra Bullock, Halle Berry, Drew Barrymore, Julia Roberts, Nicole Kidman – these actresses are just so real, so kind, so talented. I also love Leonardo DiCaprio, of course. He is just amazing. I follow all his charity work and the incredible things he does for our planet, animals, and all of us. Cryptic Rock – Maybe you will get to work with him on a film in the future! Speaking of which, are there any other projects on the horizon for you? Simonna – I’m currently negotiating several movie deals for 2019 and 2020. If all goes as planned, I’ll be doing something I’ve dreamed about my entire life. 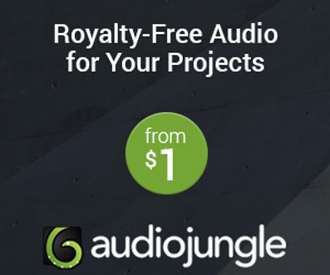 I can tell you exclusively about one project. I recently posted a hint about it with the director of my new project, Kirk Hanson. Kirk is an artist who works with Disney. He’s done some amazing movies like The Croods (2013), Toy Story 2 (1999), Hercules (1997), The Hunchback of Notre Dame (1996), and Aladdin (1992), to name a few. As you might imagine, the project is animated. It will be an animation series called Maui Kitty’s Play Day, and I am the voice of one of the lead characters of the series. I’ve always wanted to do animation and I’m very excited to work on this project. It’s another dream come true for me. It’s based on the book for children written by Dr. Huss. The book is about animals, and my character is just amazing – definitely my spirit animal. I can’t say much more about it right now, but I’ll be announcing more details soon. So stay tuned! Cryptic Rock – That sounds exciting, we will have to look out for it. Last question. Since we spoke about Horror movies, what are some of your favorite Horror and Sci-Fi films? Simonna – I am a type of person who loves to watch everything. I love Horror and Action movies because they’re very exciting. I also love Victorian-era movies and series about Medieval times, like Game Of Thrones. It usually depends on my mood. Sometimes I’m in a mood for Comedies, sometimes Action movies. Because my schedule is very, very intense, for the past year I haven’t seen a lot of movies, more TV series. Episodes are shorter and easier to watch with a hectic schedule. Like a 20-minute episode or two. I definitely love Sci Fi too. When I was little, all I wanted to be was Storm from X-Men. I seriously hope I’ll someday be in some superhero movie. It’s another dream of mine.